Imagine that back in 1999 you were sentenced to a conditional discharge for the theft of a sandwich from a local shop. At the time you were 12 years old. Now, at age 32, you apply for a job at a school. Your have led a law-abiding life since that minor offence but you do not get the job because your enhanced criminal records check reveals the 20 year-old conviction even though it is a spent conviction under the Rehabilitation of Offenders Act 1974. In effect you are marked for life because of this childhood misdeed. 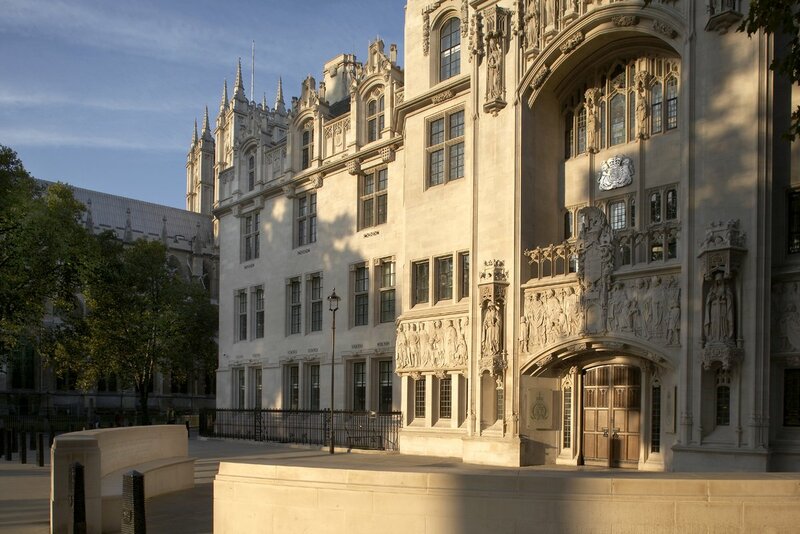 The Supreme Court has handed down judgment in R (Nealon) v Secretary of State for Justice  UKSC 2 and also in R (Hallam) v Secretary of State for Justice. 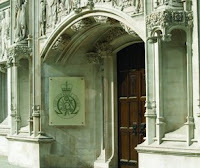 UKSC 2. The cases were discussed on this blog at the time of the Supreme Court hearing in early May 2018. The appellants, Mr Nealon and Mr Hallam, spent, respectively, about 7 years and 17 years in prison before their convictions were quashed for being unsafe in the light of newly discovered evidence. They applied for compensation under the Criminal Justice Act 1988 section 133 (as amended). 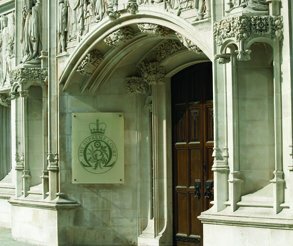 The Secretary of State refused compensation on the ground that the new evidence did not show beyond a reasonable doubt that they had not committed the offences. With only 60 days remaining until "Exit Day" (29 March 2019), efforts are underway in the House of Commons to bring about changes to the government's stance on key points. According to this House of Commons Order Paper, the House will consider a motion put forward by the Prime Minister and also amendments put forward to that motion. The Speaker chooses the amendments to be put to a vote. That this House, in accordance with the provisions of section 13(6)(a) and 13(11)(b)(i) and 13(13)(b) of the European Union (Withdrawal) Act 2018, has considered the Written Statement titled “Statement under Section 13(4) of the European Union (Withdrawal) Act 2018” and made on 21 January 2019, and the Written Statement titled “Statement under Section 13(11)(a) of the European Union (Withdrawal) Act 2018”and made on 24 January. The Prime Minister's motion is expressed in neutral terms and became amendable because the House decided on 4 December 2018 to disapply Standing Order 24B - i.e. "Where, in the opinion of the Speaker or the Chair, a motion, That this House, or, as the case may be, the committee has considered the matter, is expressed in neutral terms, no amendments to it may be tabled." At the time of writing a significant number of amendments have been tabled and there are also some amendments to amendments ! One hard reality is that, however Westminster votes on 29 January, any proposed changes to the withdrawal agreement will have to be negotiated with, and agreed by, the EU. The debate and voting on Tuesday 29 January will, at least, enable the House of Commons to express its views and if a clear position emerges there will be political pressure on the government to adhere to the view of the House. 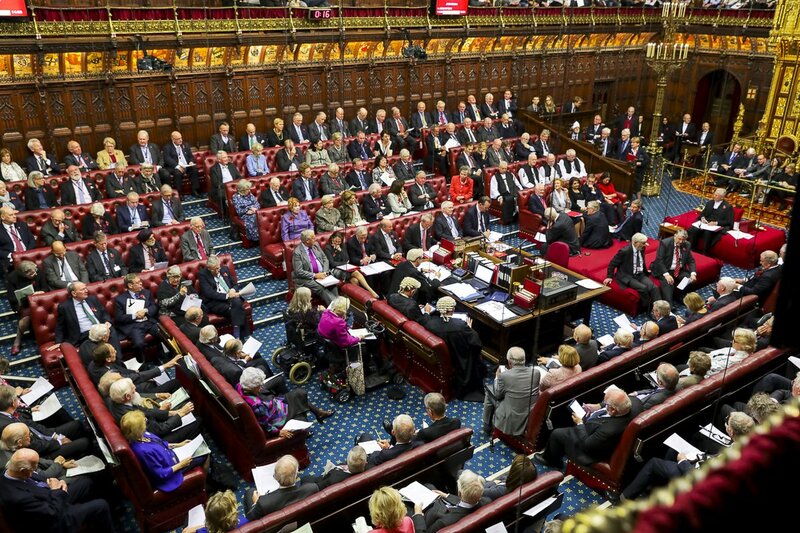 House of Lords 28 January - the Lords voted 283 Content to 131 Not Content with the motion - see the debate. See the Order Paper for 29 January. The amendments appear at pages 6 to 21 of this Order Paper and further amendments (o), (p) and (q) have been added. If the Labour motion (A) is passed, the SNP’s one (O) will fall (that is, it will not be put to a vote). And if the Cooper amendment (B) is passed, the Reeves one (J) will fall. The debate may be read via Hansard Online - HERE. A failed (327 to 296). O failed (327 to 39). G failed (321 to 301). B failed (321 to 298). J failed (322 to 290). I succeeded (318 to 310) - a narrow result in favour of rejecting a no deal Brexit. That this House, in accordance with the provisions of section 13(6)(a) and 13(11)(b)(i) and 13(13)(b) of the European Union (Withdrawal) Act 2018, has considered the Written Statement titled “Statement under Section 13(4) of the European Union (Withdrawal) Act 2018” and made on 21 January 2019, and the Written Statement titled “Statement under Section 13(11)(a) of the European Union (Withdrawal) Act 2018” and made on 24 January 2019, and rejects the United Kingdom leaving the European Union without a Withdrawal Agreement and a Framework for the Future Relationship, and requires the Northern Ireland backstop to be replaced with alternative arrangements to avoid a hard border; supports leaving the European Union with a deal and would therefore support the Withdrawal Agreement subject to this change." The Prime Minister, in a point of order following the voting, said that the government would seek legally binding changes to the backstop; strengthen protection for workers' rights; and engage the House further in the approach to negotiating the future partnership with the EU. The Prime Minister also reiterated the view that, although the House is against a no deal Brexit, simply opposing it will not stop it. A deal agreed by the House will be required. BBC - How did your MP vote? 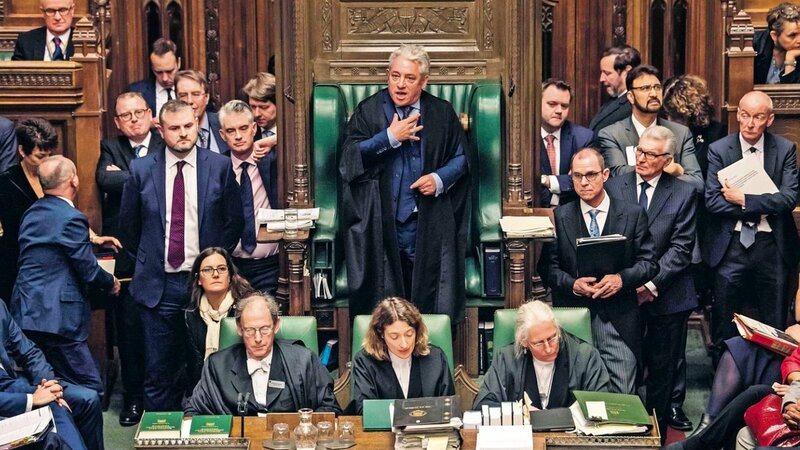 Some of the more prominent Brexiteer MPs have suggested that Parliament could be prorogued - The Independent 23 January - "Jacob Rees-Mogg urges Theresa May to suspend Parliament if MPs back plans to block no-deal Brexit." The hardline Brexiteer suggested Ms May could “prorogue” parliament if a backbench bill tabled by Labour’s Yvette Cooper and Tory Nick Boles to block a disorderly Brexit is backed by MPs. Those Bills are noted in this previous post. The terminology can be somewhat confusing. The Brexit saga continues to raise matters of considerable legal interest. A number of Brexit-related Private Members' Bills have been presented to Parliament but such Bills are unlikely to become law without government backing. Nevertheless, two very recent ones should be noted. Brexit - the "meaningful vote" was held on 15 January and the "deal" - i.e. the Withdrawal Agreement and Framework for the Future Relationship - was decisively rejected by the House of Commons - previous post. 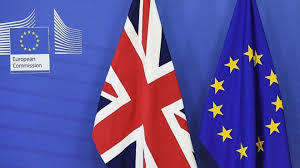 The European Union (Withdrawal) Act 2018 section 13 gave the government 21 days (beginning on 15 January) to make a statement setting out how Her Majesty’s Government proposes to proceed in relation to negotiations for the United Kingdom’s withdrawal from the EU under Article 50(2) of the Treaty on European Union. However, the Commons voted to require the government to make the statement by 21 January - previous post. From time-to-time a well-presented website appears and offers valuable insight into what can be a bewildering, dauntless area. 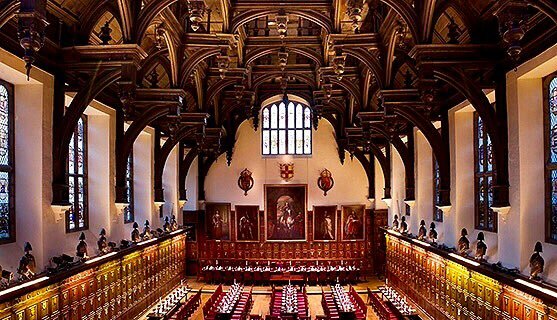 Pupillage is the final, vocational stage of training for those seeking to practise at the Bar of England and Wales and the Pupillage and How to Get It website has to be regarded as essential reading for all aspiring barristers. The withdrawal agreement was rejected but the government survived the vote of no confidence and started to have talks with political party leaders and others about the way forward. The Labour Party is not engaging in such talks unless "no deal is taken off the table" but it is said that "no deal" cannot be taken off the table! Legally, it is possible. There appears to be no political consensus to hold either a further referendum (which, it is claimed, could take a year to organise) or to revoke the Article 50 notification. [The issues and timescale for a further referendum were considered in this post a year ago - 18 January 2018]. That this House has no confidence in Her Majesty’s Government. We are certainly living in "interesting times." The "meaningful vote" was lost by 432 to 202 - a majority against of 230 - (previous post) and see the Hansard record of the debate (here). After losing the vote, the Prime Minister said - " ... we need to confirm whether the Government still enjoy the confidence of the House. I believe that they do, but given the scale and importance of tonight’s vote it is right that others have the chance to test that question if they wish to do so. I can therefore confirm that if the official Opposition table a confidence motion this evening in the form required by the Fixed-term Parliaments Act 2011, the Government will make time to debate that motion tomorrow." 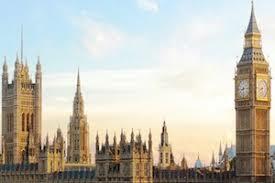 The day has arrived for what has become known as "the meaningful vote." MPs have to decide whether to accept or reject the Withdrawal Agreement and Political Declaration negotiated with the EU. The withdrawal agreement may not be ratified unless the House of Commons votes in favour of it - European Union (Withdrawal) Act 2018 section 13. The Order Paper sets out the motion and amendments to it have been proposed. The Speaker of the House of Commons selects the amendments to be voted on. The House of Commons debate on the EU Withdrawal Agreement / Future Relationship commenced on 4 December 2018 and continued on 5 and 6 December. On 10 December, the government deferred the vote - (details in this previous post). The government had realised that it was in danger of losing the vote and wished to seek further assurances from the EU regarding, in particular, the Ireland / Northern Ireland backstop. 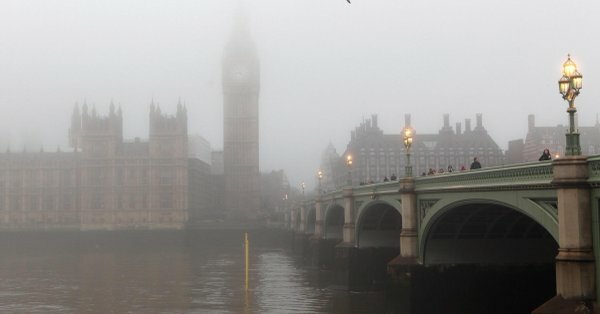 On 9 January, a revised timetable was agreed by the House of Commons requiring debate on 9, 10 and 11 January and then, after the weekend, on 14 and 15 January. The vote is now expected to take place on Tuesday 15 January. How this revised timetable came about is of some interest and presented to the world further House of Commons procedural shenanigans! A short post to keep abreast of developments relating to Brexit. The Finance (No.3) Bill had its House of Commons Report Stage and Third Reading on Tuesday 8 January 2019. This is hardly the sort of legislation to get the blood racing but an amendment was introduced by MPs anxious to prevent a "no deal" Brexit. The amendment succeeded (303 to 296) and so, for the first time since 1978, the government lost a vote on a Finance Bill. The Guardian 8 January 2019 comments - 'The coalition of high-profile MPs behind the amendment are expected to use the victory as a springboard for further parliamentary action to prevent the UK crashing out of the EU.' See also iNews 8 January. William Clegg QC is Head of Chambers at 2 Bedford Row. Having acted in numerous cases, including over 100 murder trials, few at the Bar have greater experience of criminal law. He was approached by Canbury Press to write a book aimed at non-lawyers with a view to demystifying the legal profession, explaining how it works and including material on the more interesting trials he had appeared in. 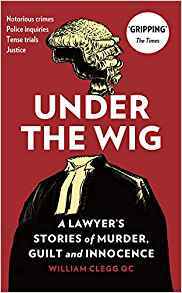 The result is Under the Wig: A Lawyer's Stories of Murder, Guilt and Innocence - Canbury Press 2018 (ISBN: 978-1-912454-08-2 Hardback). Here is a fascinating look at some of the most famous cases of recent years including the murder in 1992 of Rachel Nickell on Wimbledon Common for which Colin Stagg was eventually formally acquitted in 1994 after the prosecution withdrew its case against him. Here is an early 2019 roundup of news and views. 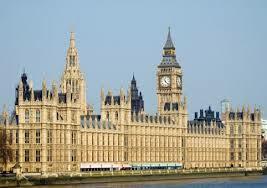 Parliament - see Bills and Legislation and Committees. In 2018, 34 Acts of Parliament were enacted - see the full list. 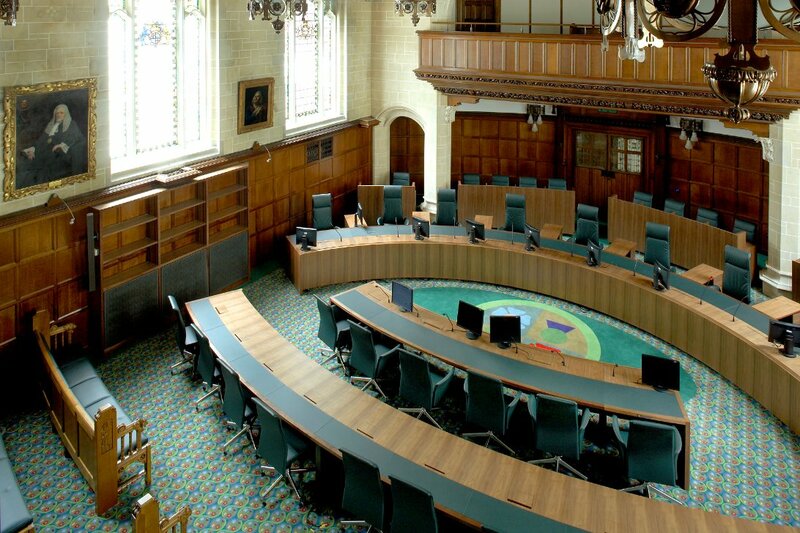 Supreme Court - sittings will resume on 15 January and the court's listings up to mid-April (Hilary Term) may be seen HERE. 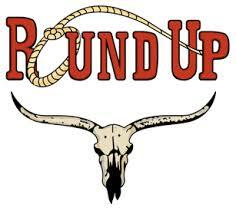 For a list of all current cases, including those where the court has heard argument but judgment has yet to be handed down, see HERE.